The seller is away until Apr 27, 2019. 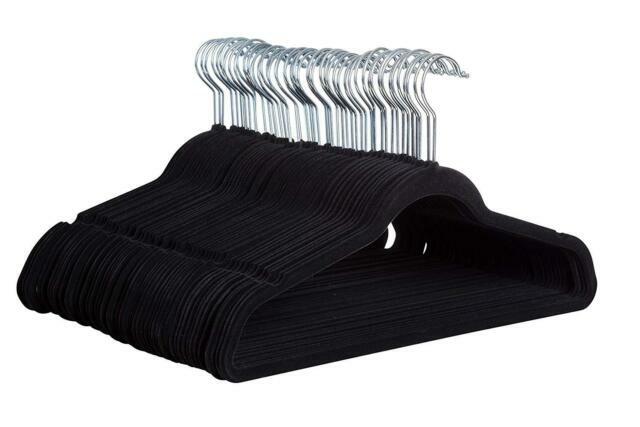 Upgrade to luxurious yet affordable velvet hangers. These hangers allows for a complete closet redo. Made of lightweight yet flexible plastic, these hangers are built to last and can withstand a maximum weight of 10lbs excellent for hanging winter coats and puffy jackets. These hangers are the best I’ve ever used. Clothes stay on hanger. these hangers are wonderful....they hold onto slippery fabrics like magic and i don't have any clothes on the floor anymore! !